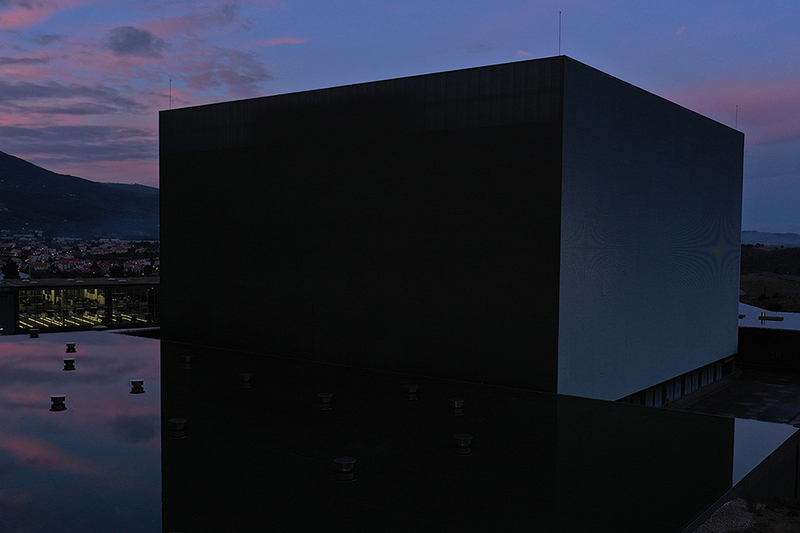 Images I shot of Covilhã Date Center. Data centers contribute about the same amount of greenhouse gas emissions as the aviation sector, according to the United Nations. Climate change activists have been pushing providers of digital services to reduce electricity use, especially as the sector booms in an era of Big Data. 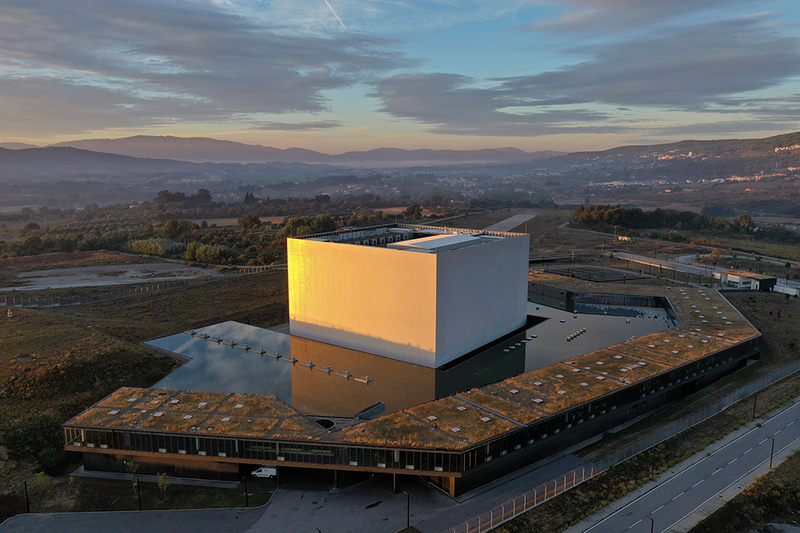 Portugal’s Covilhã Data Center, one of the largest in Europe, doesn’t just look cool. It was designed to stay cool—even if deadly heat waves like the one that hit Europe this summer become more frequent. 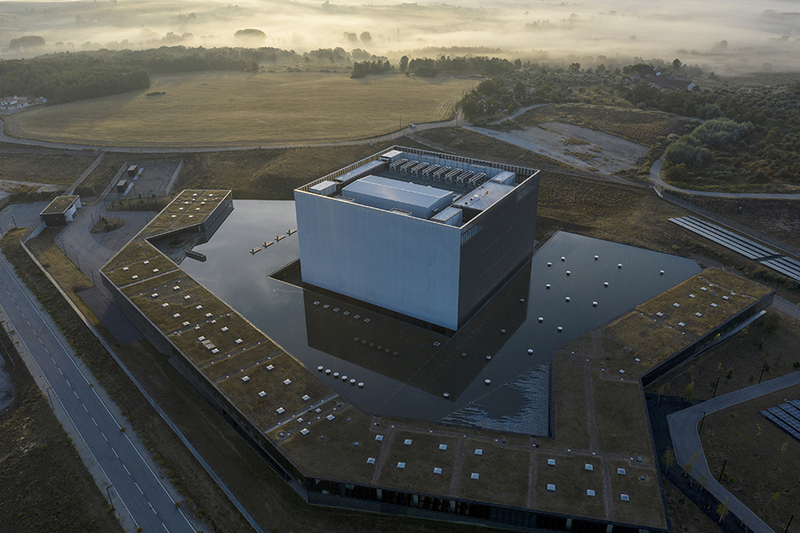 The brutalist facility is spread over 75,500 square meters, an area equivalent to about 10 soccer fields; it’s big enough to house as many as 56,000 servers. 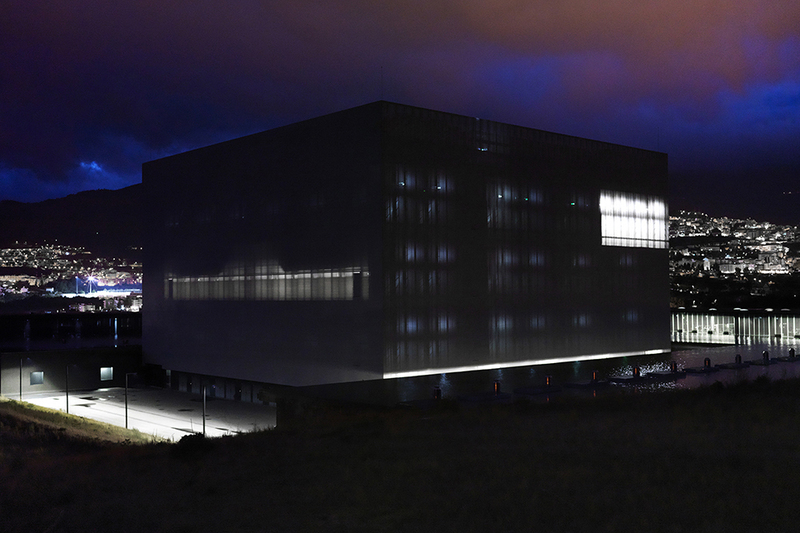 The owner, Altice Portugal, the biggest telecommunications services provider in the country and a subsidiary of Altice Europe NV, says the five-year-old center was built with efficiency in mind. Its location, in Covilhã, a ski and hiking destination 170 miles northeast of Lisbon, was chosen partly because of the mild mountain climate. Outside air cools the building’s servers 99 percent of the time, according to the company. The center also collects and stores rainwater, creating a sustainable water source—and surrounding its campus with a striking moatlike feature.